It’s no secret that assessments can feel like “high-stakes” scenarios for both students and teachers. But it doesn’t have to be that way. Simple checks for comprehension, like a small quiz after a lesson, can deliver important feedback for student learning. Today’s digest highlights the focus on assessments measuring for deeper learning, strategies to foster creativity in students, the impact of trauma on student learning, and some big news for the deeper learning world. Assessments may have a bad rap in schools, causing students to stress and putting pressure on teachers, but not all assessments have to be high-stakes, explains Tara García Mathewson in the Hechinger Report. Lower-stakes assessments that happen all the time in the classrooms – like the couple-question quizzes a teacher gives at the end of a lesson – create valuable feedback for teachers and students and are vital for student performance. The Assessment for Learning Project is working to change the perception of assessments to a positive part of the learning process, writes García Mathewson. This includes a push for assessments that measure skills like critical thinking, communication, collaboration, and creativity. Speaking of assessments, what makes an assessment high-quality? And how can assessments fit together to paint a full picture of student performance? The 10 Principles for Building a High-Quality System of Assessment provides guidelines for state and district leaders who are at the forefront of designing, implementing and overseeing assessment efforts. Creativity is valuable, sought-after, and difficult to acquire and learn. But there are strategies that teachers can employ to encourage imagination and put students in the driver’s seat of their learning. Ben Johnson, an educator and writer for Edutopia, explains that “when designing learning experiences, teachers can plan and frame curriculum and provide tools that give students options, voice, and choice in order to enable them to be creative.” Johnson shares four ways to develop creativity in students all grounded in the philosophy of learning by doing. 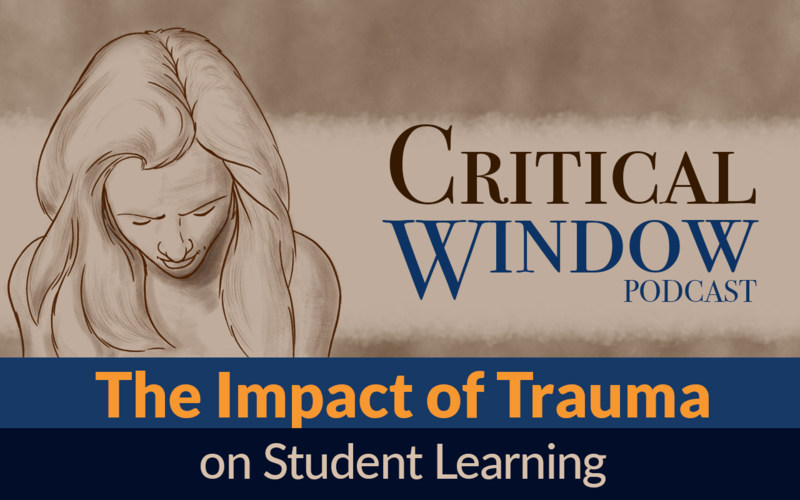 What is the Impact of Trauma on Student Learning? Experiences like chronic stress or trauma from exposure to violence can have a tremendous impact on students’ ability to learn. Students that have been through at least four adverse childhood experiences, such as emotional abuse or neglect, sexual abuse, living with a drug-addicted family member, losing a parent to divorce or death, were 32 times more likely to have learning and behavior issues in school. On this episode of All4Ed’s podcast, Critical Window, Michael Lamb, executive director of the Washington, DC office of Turnaround for Children, dives into how students experience trauma, the impact it has on mental health and learning, and what educators can do to create an environment that effectively supports students affected by trauma. So Long, Farewell, to the Learning Deeply Blog! It’s hard to believe that after five years and more than 500 posts of incredible deeper learning content and conversations, the Learning Deeply blog, run by Harvard education professor Jal Mehta and Washington-based education writer, and former All4Ed staffer, Robert Rothman, is coming to a close. The blog has tackled some difficult issues, including pointing out an “uncomfortable truth about the deeper-learning movement itself: Its race problem,” as well as questioning “one of the most venerable concepts in educational psychology – Bloom’s taxonomy.” Read these posts and several other favorites from the past five years to give the blog the send-off it deserves. Thanks to you both, and we encourage all of you to read their final post. 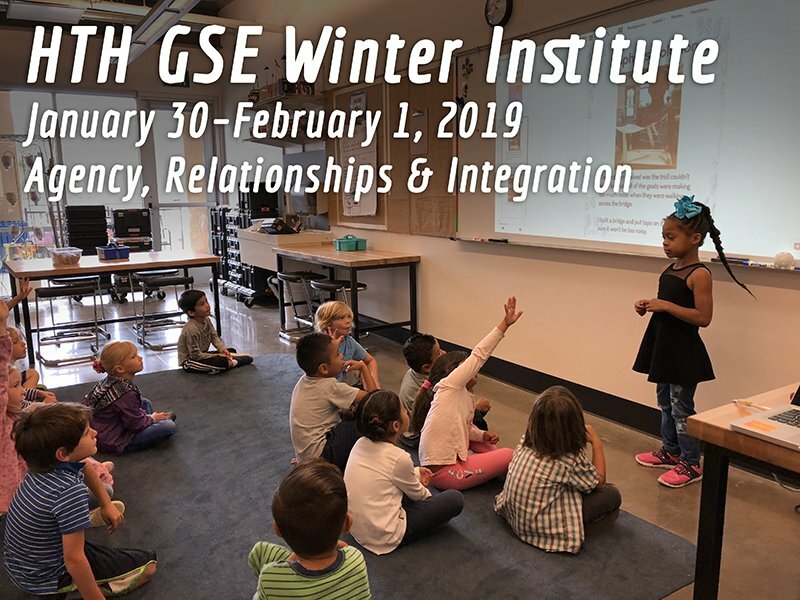 Join High Tech High Graduate School of Education for their Winter Institute: Agency, Relationships and Integration on January 30-February 1, 2019 for interactive sessions on building student agency and collaborative, community-based projects. Participants will engage in workshops and classroom visits focused on how relationships are developed through meaningful work, partnerships between school and communities, and how skills are integrated across academic contexts. The ‘Deeper Learning Digest’ is a bi-weekly roundup of articles, blog posts, and other content around deeper learning. Be sure to follow @deeperlearning on Twitter, @deeper.learning on Instagram, and like Deeper Learning on Facebook to stay up to date on all deeper learning news. 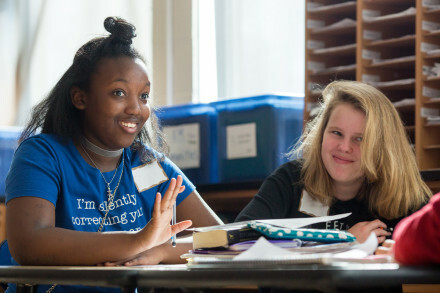 Featured Photo By Allison Shelley/The Verbatim Agency for American Education: Images of Teachers and Students in Action.